The DEA (Drug Enforcement Agency) classified Halcion (Triazolam) as a Schedule IV drug. In addition, it is a powerful member of the benzodiazepine group of drugs. First, the chemicals in the brain that could become unbalanced. Second, it could cause sleep issues by affecting certain areas. Doctors prescribe Halcion for relief from insomnia. Sometimes, users abuse the drug chasing a Halcion high. The consequences can be quite lethal. It is faster acting than other benzo drugs at slowing the brain’s activity. Owing to its addictive properties, it is only prescribed for a short period, usually for seven to ten days. On the flip, Halcion only lasts one to two hours in the body. Meanwhile, other benzo drugs can stay in the body from 20 to 70 hours. Therefore, this means once you get addicted, you’ll need to take it more often to get the fix. It can become an addiction issue in a little as two weeks, with or without a prescription. This happens when the person starts to deviate from the instructions given. Conversely, one take more per dosage than recommended by the physician. There is one misconception about taking Halcion. It is that the person who is just taking it occasionally to help with insomnia. And he is not taking it to get Halcion high. Therefore, the user cannot become an addict. Unfortunately, this thinking can and does lead to abuse. The body doesn’t care why you’re taking the drug, it can form a dependency no matter what the reason. It’s a known fact that people have snorted Halcion. They include especially young adults and adolescents. First, they crush the pill. Then, they snort the powder. Heroin addicts and cocaine addicts often use the drug to increase their Halcion high. What are the Side Effects Halcion? In the short term, Halcion high can cause some conditions. They include confusion, feeling light-headed, shallow breathing. In addition, the users might face a drop in blood pressure, movement issues to name a few. The Halcion high brings with it a dream-like state, euphoric in nature. However, that quickly turns into a nightmare. This is when the person realizes they can no longer function without it. There have been reports of hallucinations. As a result, recreational users have turned to Halcion for that very reason. When a person decides to stop taking Halcion, they can feel overwhelmed. As a result, they will believe that they cannot function without it. One should always involve a medical professional in detox from Halcion. The reason for this is the withdrawal effects can be deadly. Halcion recreational use is becoming more prevalent. As a result, the side effects are becoming more bizarre. People have reported performing everyday tasks under the influence. They include driving, fixing meals, even engaging in sexual activities. Strangely enough, they report as having no memory of doing any of it. As a result, they have reported that these side effects create confusion. In addition, they even create emotional trauma to the person who are going through them. In fact, some governments have removed from the market in several countries. This is due to the serious and bizarre events that have happened when taking this drug. Germany and Great Britain for instance no longer make this drug available. Even people in the United States wanted to ban it. An advocacy group in 1991 and 1992, sent petitions to the Food and Drug Administration to take it off of the market. While they did not remove it from the market, they did reduce dosage acceptability. Which Precautions Should you Take When Taking Halcion? You should also tell your doctor about other drugs you are taking. It’s because they may cause negative reactions. It doesn’t matter if they’re prescriptions or over the counter when taken with Halcion. Doctors prescribe that one takes Halcion before bed. In addition, one should not take it with food or after you have eaten. Use caution and check with your healthcare provider. This is in relation with eating grapefruit or drinking grapefruit juice. It’s a known fact that Halcion can cause loss of memory. One should only take it when you can get a full night’s sleep (7 to 8 hours). Do not increase the dosage on your own. This is if your symptoms that required a prescription have not improved after taking for 7 to 10 days. Doing so can lead to addiction and abuse. This is if you do it without conferring with the physician who prescribed the drug. 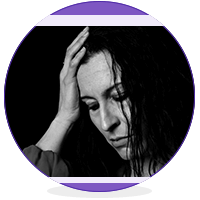 Withdrawal symptoms can be severe and could need emergency room medical care. Some extreme symptoms of withdrawal can cause swelling of the face, lips, and tongue. There can be some irregular bodily functions. You can become aggressive, have heart palpitations, and hallucinations to name a few. One should use caution when treating the elderly with Halcion. This is because they can be more sensitive to the side effects. The number of prescriptions written for Halcion per year is a staggering 1.2 million. There were over 60,000 admissions to rehab centers for abuse of the drugs in the group of Halcion in 2008. Notably, 10% to 15% of American adults suffers from chronic insomnia. As a result, Triazolam/Halcion is the most prescribed remedy. There is a percentage change of 24.2% in the recreational use of Halcion between 2013 and 2014. Incidentally, it is the lifetime popularity among men. Conversely, the overall preference decreased by 47% between 2002 and 2014. Here are some more lifetime Halcion recreational use statistics. Among females older than 12 years of age, it showed a percentage change of 6.0% between 2013 and 2014. Whereas, the overall choice between 2002 and 2014 decreased by 55.5%. Among people between 50 years of age and 64 years of age, reporting having used Halcion at least once in their life. In fact, the highest rate was in 2014. People have asked about using Halcion for their pets, dogs in particular. They do not recommend Halcion use in dogs. It is because the effects are too unpredictable to attempt on any animals. In the long run, use Halcion only as prescribed. A Halcion high may be enjoyable for a while. However, it can be very harmful to your health. Do you find yourself showing signs of dependence? Please contact your physician right away to get help to stop taking it.